Inconsistent actions and conflicting demands by Civil Aviation Authority officials are causing confusion and stress, wasting time and costing the CAA and its customers thousands of dollars, says a report. In a 5000-word document sent to CAA Director Graeme Harris, exposition-writing consultants Walter Wagtendonk and Ian Wood highlight – and reject – the behaviour of some CAA personnel who assess Air Operator Certification applications and Safety Management Systems. Disregard for the need to use scaling when dealing with small operators. One inspector disputed the use of only odd numbers in an exposition’s paragraphs, saying it would confuse readers – despite the fact that the authors were correctly following the CAA’s own numbering convention when it writes Civil Aviation Rules. Do we need steps to refuel this? Another objected to a Flight and Duty time scheme, saying it was incorrect with regard to night operations – despite the fact that the applicant company operates only during the day, under Visual Flight Rules. The report lists numerous occasions where one inspector’s assessment differed from another’s. One official made three adverse comments in his critique of ‘Becoming aware of a hazard’, while another noted “Very good” on the same text. Some demands are described by Wagtendonk and Wood as “How long is a piece of string?” Others are said to be impracticable and indicating unfamiliarity with the most basic knowledge of aviation. 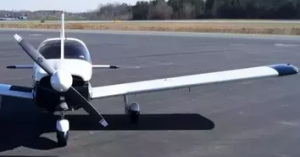 They say CAA officials are wasting everyone’s time with silly questions such as how a fuel tank dipstick is to be used, should steps be specified for fuelling a low-wing light aircraft, and whether ‘must’ should be used instead of ‘may’. “The associated CAA fees at the rate of almost $300 an hour are a waste of money,” the report says. There is evidence that officials are enforcing their own opinions. In one absurd incident, a CAA employee demanded the removal of “Chief Engineer” from a flowchart textbox, which could have led to an unworkable maintenance situation for the operator. Dipstick question: How do you use it? In another, a husband and wife company operating one helicopter had their training syllabus rejected and replaced with demands that were “excessive and totally beyond the requirements”. But an identical training syllabus had been approved without query for another small operator only weeks earlier. The authors say: “On a number of occasions, the CAA has stressed the need for scaling when designing SMS for small operators. As consultant writers, we have tried to comply with that logic; but instead of simplification, most of the CAA officials we have dealt with presented us with numerous items that added to the expositions. The report says there is sufficient evidence to show that the CAA needs to improve staff compliance with its own rules and operating principles. If the examples had applied to GA operators, they would have been designated as ‘findings’ during audits and if non-compliance was ongoing, the AOC would be withdrawn (as recently evidenced by a number of grounded companies). “The report has identified a number of failures which, in many instances, can be put down to lack of supervision by senior management and the apparent freedom for lower-level officials to express personal opinions and interpretations, and insist on compliance with them. The General Aviation Advocacy Group says there must be ‘One CAA’; in this case a single, unequivocal policy giving compliance direction in every aspect of AOCs and SMS. There is no place for a plethora of personal opinions from CAA employees dictating what they believe will achieve compliance.